John Darmanin was born in Vittoriosa on September 4, 1938. He started playing football while he attended the De La Salle collage at the age of 10. Later on John joined Vittoriosa Stars. 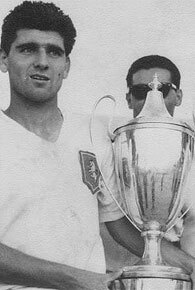 During his spell with vittoriosa the club won promotion from 3rd to 2nd division and from 2nd to 1st division. At the age of 17 he was chosen as a guest player with Sliema Wanderers during the FA Trophy. During this match John left a good impression and several top clubs showed interest in him. He chose Valletta F.C. and signed a contract with the club. He played for Valletta F.C. from 1958-1964. With the Lillywhites, Darmanin won three championships, Scicluna Cup vs Floriana and the Cassar Cup. John left Valletta F.C. in season 1964 and joined St. Georges FC, he won the first division championship with the club. During his career John also played with Malta best 11, which was the National Team at those days. He also formed part of the National U/21 squad. During his coaching career John Darmanin coached St. Georges FC and Vittoriosa Stars FC. 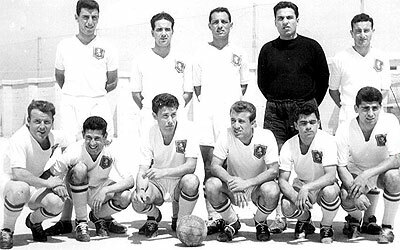 Valletta FC 1959-60 Champions, John Darmanin standing at the front row, the last one on the right.